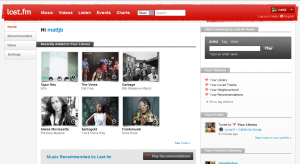 Last.fm has updated their site with a brand new design and I like it! It’s much improved over the previous design, and has a slew of new features. You can find my profile at Last.fm which has been tracking my listening habits for over 3 years now. I’m currently listening to my personal radio and it plays nothing but songs it knows I like. Really, it’s the last FM radio station you’ll ever need. 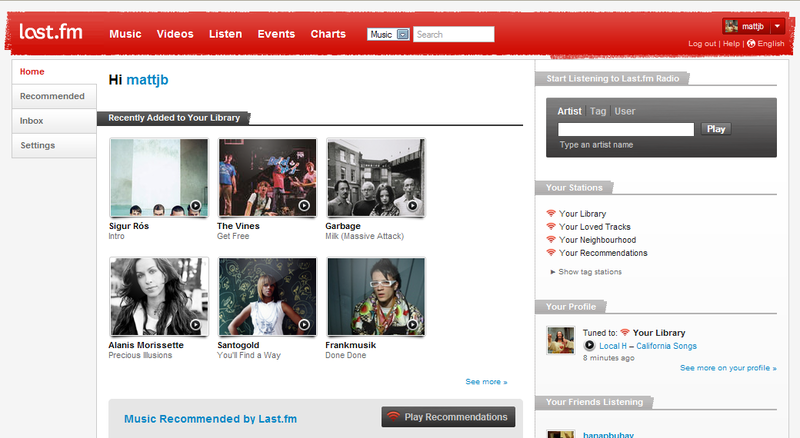 last.fm is the greatest music service; I’m really digging the new redesign.